OK. I have been gone for a long time. I dont want to put up any reasons, as all of them are lame expect that they are not. I was just procrastinating every recipe post and here we are, after 3+ months. I cant let my food blog die a slow death and thus this post! And I promise that I will be more regular in this space. Infact I have so many folders of pictures waiting to be converted as recipes! Expect more action from me going forward. 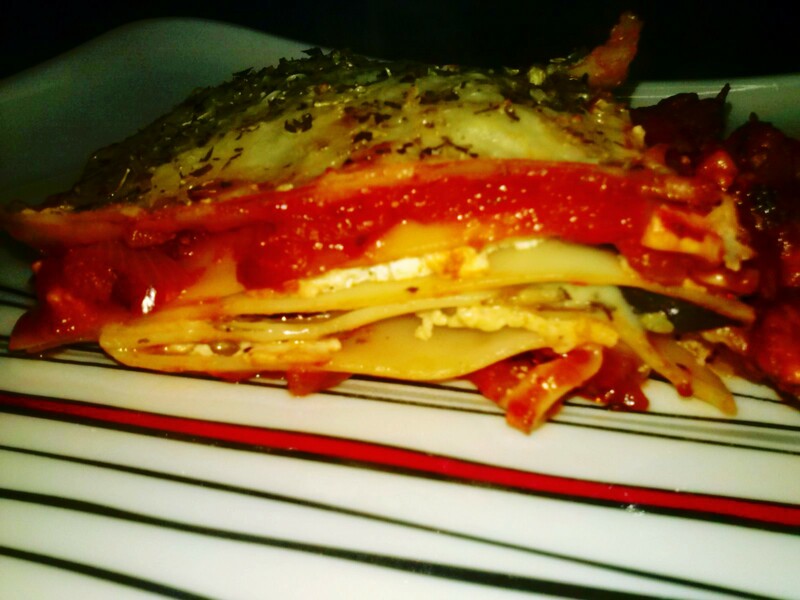 Now coming to our recipe – Lasagna was on my mind for like ever. Everytime I get my hands on a pack, I wonder how could I make it taste best and yet keep it vegetarian. I had a vague idea from the veg lasagna I tried in an Italian restaurant, but it wasnt enough for me to jump in and start preparing it. Last week I decided enough was enough and bought a pack, resisting all the stares I was getting from S. I just promised him an awesome meal and that got his interest. We rushed back home and wanted to prepare it right away though both of us were dead tired. 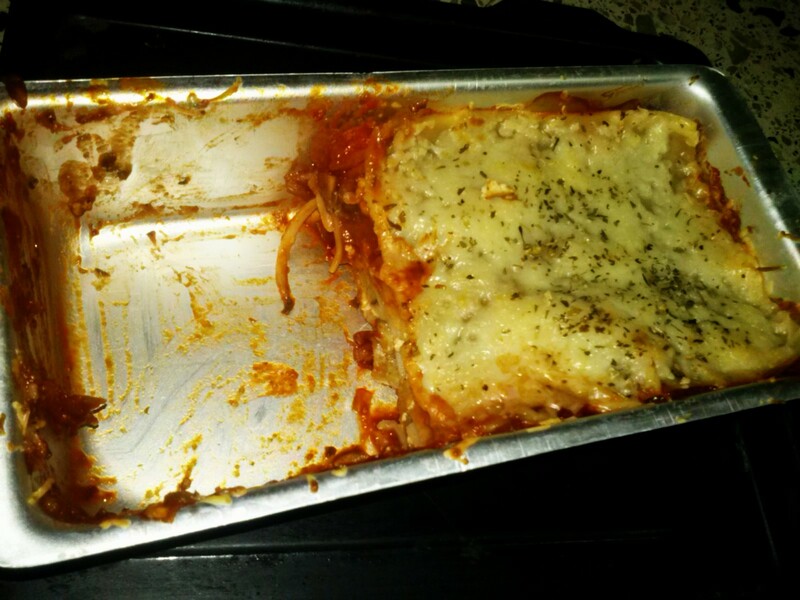 Quite contradictory to my assumptions (of lasagna taking long time to prepare) we could do ours in less than 40mins and the effort was well spent – Lasagna tasted damn good! This is my version of Lasagna and a lot more of innovation can be done, in terms of preparing the sauce and usage of veggies. In a large pot, Boil the Lasagna sheets as per the instructions on the package. Do not let the sheets get overcooked as it will lead to a soggy Lasagna. They should be cooked through yet remain firm. Meanwhile, get the sauce prepared in a pan. Add Olive oil. Once its hot, add in the chopped garlic. Once the garlic is golden brown, add finely chopped onion. As they turn translucent, add tomato puree. After a couple of mins, add the chopped vegetables. I used babycorn and mushroom. Let them cook for 9-10mins. Season the sauce with salt, chilli flakes, oregano spice mix. It should be neither too thick nor thin. Get another pan, add a tsp of oil. While its being heated, slice Aubergine into thin rounds. Shallow fry them with enough salt on both sides, until golden brown. Keep aside. Take a bowl, add grated paneer, salt and fresh parsely (or dried on) and mix well. Now all the elements are ready and we just need to set them up and bake! And this is where you can let your imagination and taste buds to do the work. Pre-heat the oven to 180deg C for ten mins. Meanwhile, take a bread-tin (the one that fits the size of the lasagna sheets with out any loose ends). Start the layering with a part of the chunky vegetable sauce. Cover the sauce with a a sheet of cooked lasagna sheet. Next, spread the paneer mix as the third layer. Again, cover it with another sheet of lasagna. Layer up the Aubergine slices as the next layer. Cover it with a sheet of Lasagna. You can add up paneer mix again or complete the layering with the left over chunky vegetable sauce. Spread cheese all over the top. If desired sprinkle some oregano spice mix on top. PS – I will try to get the step-by-step pictures and update it here very soon! Spinach Corn Sandwich – CCD Style! 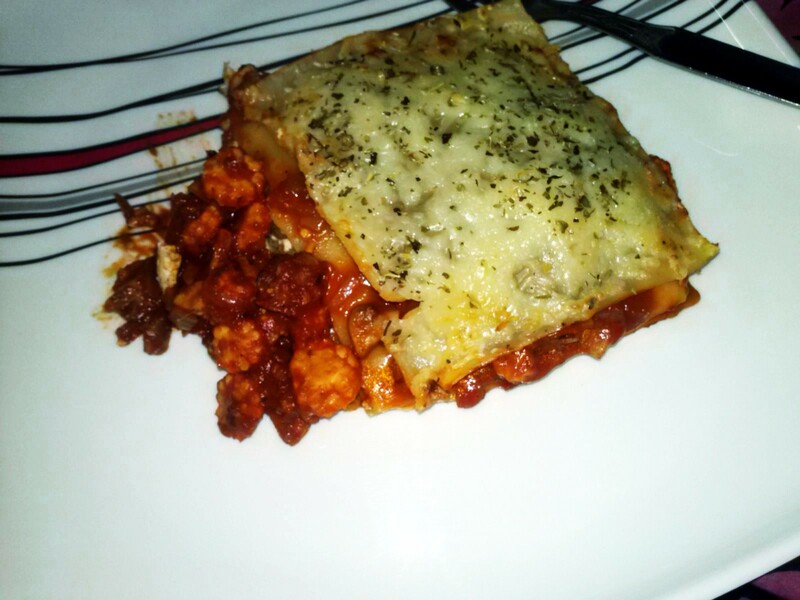 Lasagna looks amazing!! Loved that cheese on top…drooling here..